I would us it for writing my books and for marketing and maintaining a crafting business I am doing with my mother. I am a subscriber. I would use this computer to replace old old Compaq computer. I would use it as my primary computer. I already subscribe with the above email address. This would replace my dying desktop!! And it would Thanks for the giveaway! I would definitely use it for design projects, music and photos. I love that it has Corel Paint It Software! I’m already a subscriber. This is an awesome prize. I would use it to read books or store pictures and I am sure a whole lot more. This little bad boy is coming with me to BlogHer 2010 in NYC this summer! So I can live blog and live tweet from one of the biggest, baddest gathering of bloggers around the blogasphere! I would use this in a music ministry for word presentation. I’d like to use this as my desktop/laptop/ WD mediaplayer replacement. I can work, play and entertain with this HP all in one.. I would gift it to my girlfriend! She’s way too creative NOT to have something like this! Hard working college kid such as herself deserves a break in life sometimes! I would give it to my sister, because she will be starting her first year of college real soon, and she will need to gear up for school. If I won this, I think that I’d give it to my mother to use, since she currently has an old and slow desktop computer. Wow, there are so many things I would use this for. But I would use it to watch movies and to do some Photoshop photo editing. My wife and i are going to school for fashion and photography so this would be amazing!! If I won this computer I would use it as a family device for my wife, 3 kids and myself. 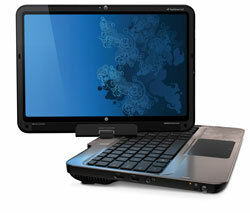 I would give the HP Touchsmart to my daughter who needs a new laptop to use for software development working from home. Her old one is so bad it is even missing a couple keys! If i win i will give it to my son it would help him to have his own for school work. I’d give to my husband for his birthday, which is a few days after this contest ends. He works so hard and is such a great guy. He deserves something nice and a little luxurious.It would make him so happy. I’d use it to draw. I hate fighting the scanner, and I just can’t seem to draw with the mouse. It would sure come in handy for my son’s schoolwork. I would enjoy working on bills, cooking in the kitchen and just surfing. Thanks for the chance! this great product would become our primary computer, replacing an old one. I would definitely use this on the road for my casework job. I would use to draw out designs for my home. Love the concept of this computer. I would love to have for myself for Mother’s Day! I am a subscriber and I will use this as my personal laptop. Im a subscriber… I would love the feature to watch movies when my family travels. It would be so easy to use in the car, hotel, or airport. I will use it for travel. I’d like to win this laptop on my birthday. if I won I would use the computer to help find a good job. Subscriber. I would share this with my son, he’s in the 10th grade and he always has school papers to work on. Also would be great to use as a media server. My husband’s and my Birthday is in May. We are short on money this year and I would LOVE to give this to him as a gift! I would use this laptop on my travels and escape from the family times. It would be allot easier to handle than my current bulky dell e1705 tank of a laptop! I would use it for school, to do my homework and use in class. I would also share with my daughter in law, who is is school also. This would make everything so much easier. I would use it as a media server for sure. I would also use it for drawing and creating art work. Hope I win! If I won this, it would serve as my primary computer because my two laptops have both died in the last few months. I’d use it all the time for volunteer IT calls! I would use it to organize my large video and music library! I’d use this to replace my aging dinasaur of a desktop. I’m a subscriber and I would use it to organize bills. I would use it to sketch out projects. I would use it in my real state business.